I received a 1000-MISC with the $714.93 listed in the first column as "Total Additional Earnings." It says my gross earnings are $6,479.43. But the actual income I received from Uber, as verified by my transfer amount totals to GoBank, amounts to $6,118, which is only $4 off the Net Payoff Amount in the third column. So in TurboTax I entered the amount from my 1099-MISC. But I also entered that net amount of $6118 (I imagine the $4 difference amounts to when a customer tip was posted -- like posted to GoBank on December 31 but Uber thinks it was dispersed January 1 or after). 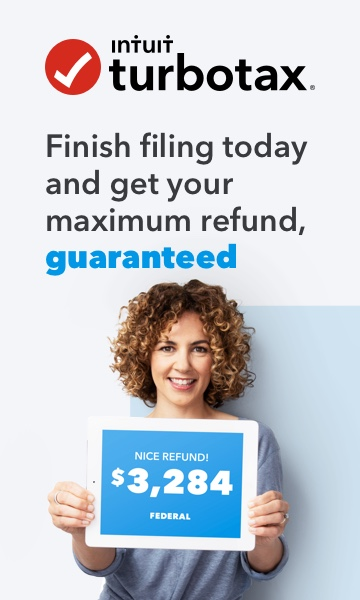 In doing that, TurboTax calculates my taxable income at well over $6,800. Do I post the rest of my income as $6,118 minus $714.93, or do I have to enter what is on the tax summary? I mean, I know that tax summary isn't a legally binding document, but I don't want to futz with the numbers if that 1099-MISC amounts to some "extra benefit" I am being taxed for. You are correct that that statement is not binding in any way. If the IRS ever audits your return or asks for additional information, it will be your bank statements and form 1099-Misc. So...do use your bank statements, enter gross income received not reported on 1099-Misc, then enter your 1099-misc; follow the entries by your expenses to arrive at your net income subject to self-employment tax. In tax year 2018, I dropped the ball on expenses. I only tracked business mileage and not additional personal mileage required by the IRS, so I've just decided to pay the full tax bill, with no offsetting expenses. I could have used gasoline expenses, but I wanted to be able to use mileage in future tax years. I'm receiving the earned income credit, so that effectively cuts my tax bill in half anyway, so I'm not too concerned as I've saved up the money to pay the full tax bill. So given I won't be inputting any expenses, I want to make sure I understand your advice: I take the $6,118 minus the $714 on the 1099-MISC, and then enter that $714 in the MISC box, so that the grand total to be taxed is $6,118? I finally figured it out. Uber doesn't make it easy, but I got my taxes finished. When you make as little money as I do, it seems a little more complicated than it ought to be. Anyway, thanks again for your help. I understand that you did not keep track of personal mileage, but you can check the odometer readings… or simply estimate as closely as possible as to how many miles you drove. I highly recommend that you do put your mileage expenses and all other expenses for the Uber "business". Revenue Ruling 56-407 specifically states that all expenses must be claimed. The IRS may notice that a "taxi" business has no mileage and assume that you try to maximize the Earned Income Credit by not claiming any expenses. And that is not allowed. The credit may be disallowed and you may be penalized for not filing an accurate return. Please read here for more details. Although the link is for paid preparers, it discusses not claiming expenses applicable to your situation; select What is Earned Income and the section below about deducting expenses. I already filed my taxes and paid the IRS $428. I would have ended up owing them less had I tracked mileage. I made a little over $6,000 and I drove for Uber Eats, delivering food, not transporting people. Not that it makes any difference. I drove two different cars because the first one broke down. QuickBooks Self-Employed can't track mileage for more than one car, which makes no sense at all, but that's how it is. I tried getting help on this forum, but it just didn't come fast enough. Anyway, there are close to 1,000 trips I didn't track mileage for, because the QBSE app made it impossible for me because I used two cars, plus their mileage tracker is junk. I could use the Uber logs, but they only track deliveries, not the trips between deliveries and the next pickup location. Plus their logs don't list the exact addresses of the customers, nor do they list the name of the restaurants. I asked all over the place how to reconstruct mileage logs, but no one chimed in to help. I'm 53 and I've never worked as a 1099 employee. So the IRS has already accepted my return and taken my money. I guess I just have to hope, according to what you're saying, that I don't get audited. If it comes to that, I hope they allow me to file an amended return instead of imprisoning and/or fining me. I see that I can file an amended return, but I can't request to do so until February 8th. The question is, how does someone like me, who is well below the poverty line in this country, get help with filing taxes? Where can I go? I deliver food for a living and I know nothing about 1099 taxes, or at least not as much as I thought I did. Again, where can I go for help given that I have very little money? I read the link you posted. Thanks for providing it. This is the part that concerns me: "If your client has any records and data on the amount earned and any expenses, you can explain how to reconstruct and/or help make a reasonable estimate of the income earned and expenses. If you choose to help your client reconstruct the records, be sure to document how you computed the income and expenses." I have been unable, from authoritative IRS sources, to learn how to "reconstruct" a mileage log. I didn't begin keeping a comprehensive mileage log until two week ago, after experimenting with numerous iPhone apps. So for 2019 I'll be okay. I'll just manually enter the three weeks I missed here in January. But the question remains: How do I reconstruct a mileage log with only Uber's website as proof of mileage, and that mileage is only for trips from the restaurant to the customer, and does NOT include personal miles, deductible trips driving to the next pickup, and non-deductible trips for leaving and returning home. Can you provide a citation for mileage log reconstruction? Please refer to the IRS Publication 463, page 27, it provides Daily Business Mileage and Expense Log. It will be difficult, but you can use any reasonable method to log your destinations and mileage... somehow you must remember your destinations, you can just put them on the calendar, log along with the mileage. The purpose is clear since it is for Uber driving.